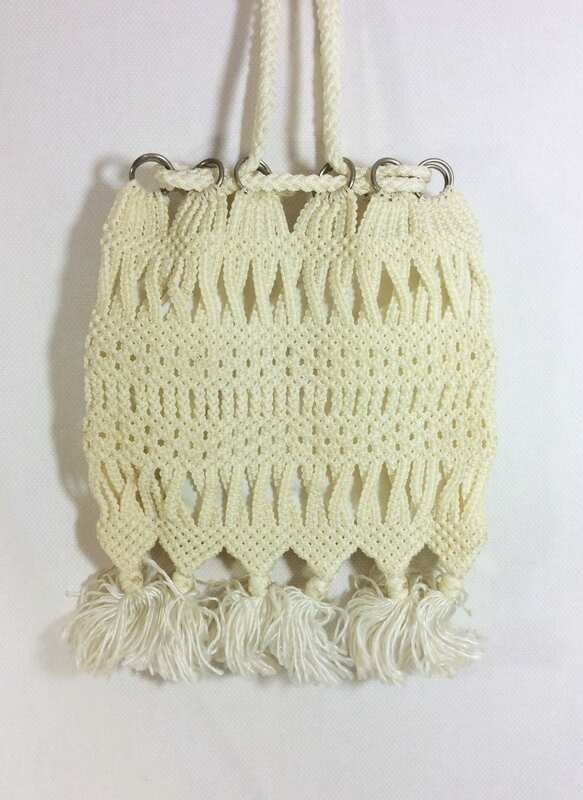 This fantastic macrame purse is just what you needed to hold your goods! 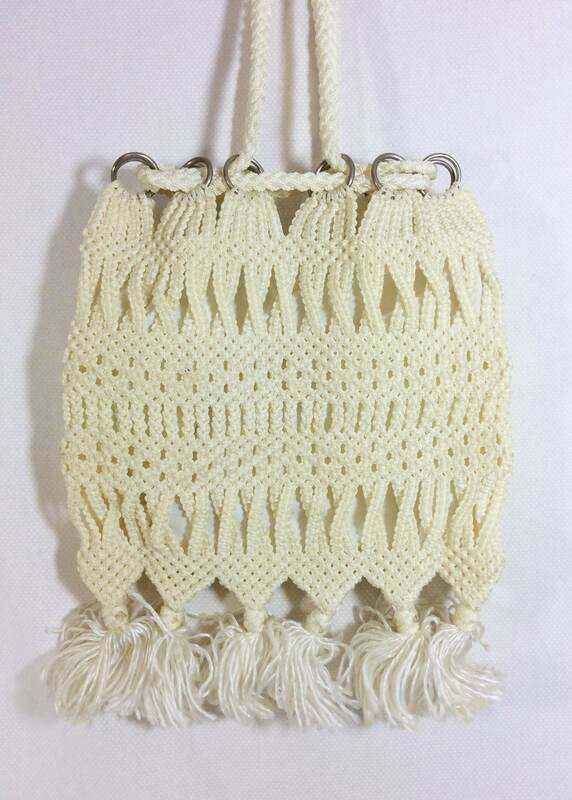 The purse was hand made during the early 1970s. 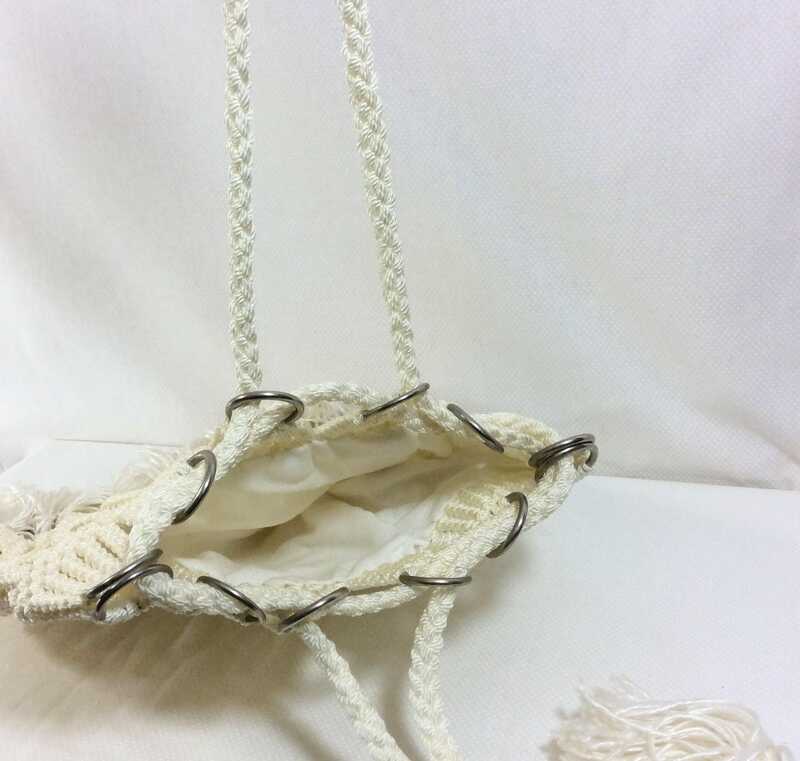 It was constructed from a sturdy yet shiny white rope and steel hardware. One of the things that makes this purse stand apart from similar styles, is the drawstring closure at the opening of the bag. 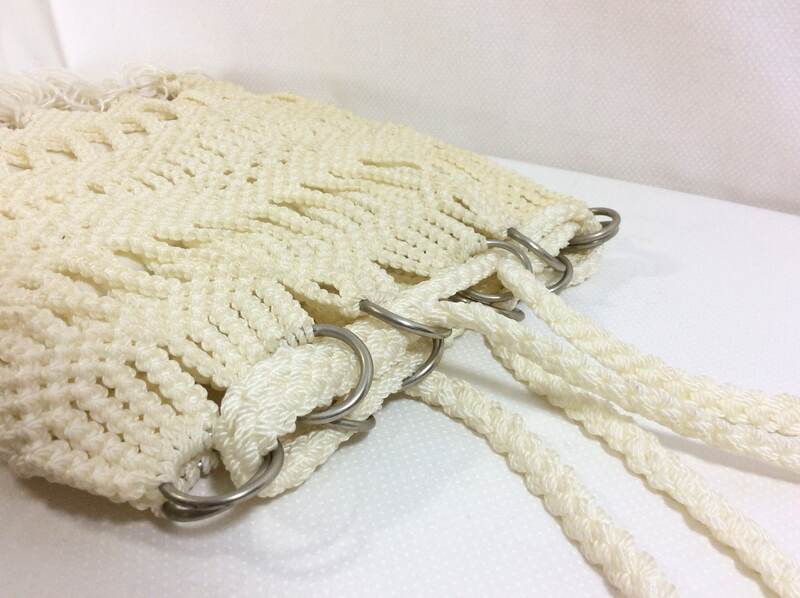 The rope strap of the purse can be pulled through the metal hoops to tighten the closure. The interior is lined with a woven polyester fabric. The lining is very clean and in excellent shape. 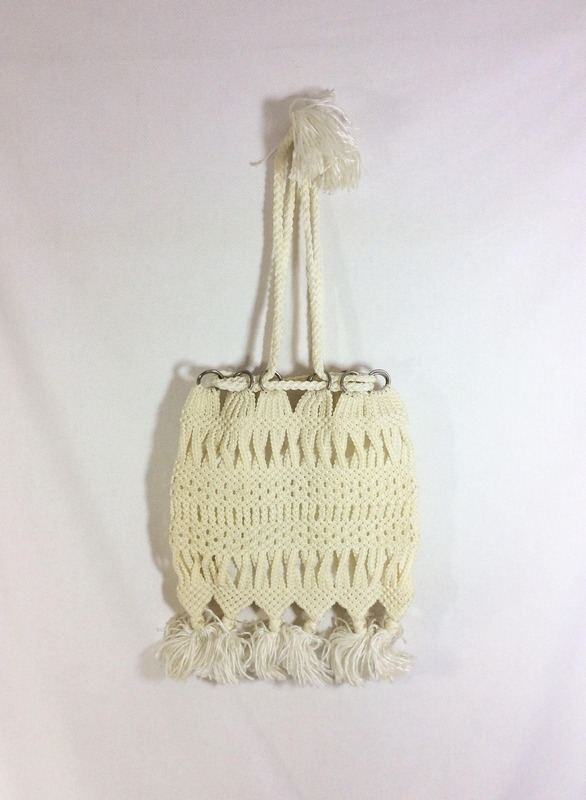 The intricate weave design of this piece is very high quality and varies in both shape and size throughout the bag. The bottom of the purse and the shoulder strap are both decorated with 2.5 inch pom pom fringe, giving this bag a fun and unique twist! The body of the purse measures 11 inches x 12 inches. The shoulder strap hangs 12 inches long. 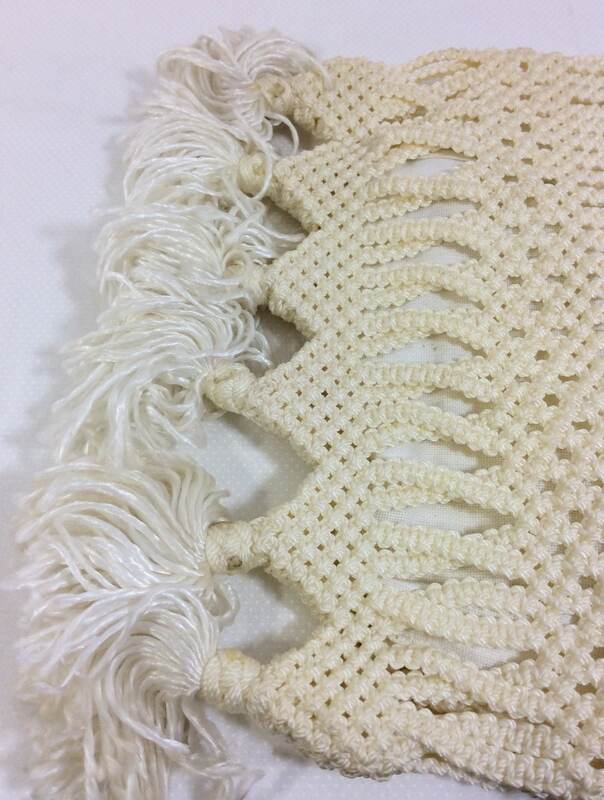 This item is in great vintage condition and would look fabulous paired with a flowing maxi dress for an outdoor concert, or could be a good costume piece!